Flappers and Hipsters rejoice - the roaring 20’s will be celebrated (along with our constitutional right to consume alcohol) as Rick Moonen’s rm seafood teams up with Southern Wine & Spirits Las Vegas to host a prohibition-era themed happy hour celebrating the 78th anniversary of the repeal of prohibition. rm seafood’s lead bartender, JR Starkus, is creating vintage drink specials such as “Bee’s Knees” and a “Plymouth Gin Punch.” The restaurant will also offer a variety of small plates inspired by the speakeasy era, ranging from $3 to $5. Bee’s Knees, a popular drink during the prohibition-era, is a simple cocktail crafted with gin, honey and lemon. Named after the old saying “The Bee’s Knees” or height of excellence, this vintage style cocktail was designed to mask the smell of alcohol while offering guests a drink to be remembered. Those who show up in period attire will receive $5 vintage cocktail specials; and wiseguys (and gals) in-the-know who learn the secret password from rm seafood’s Facebook (Facebook.com/rmseafood) and Twitter (@rmseafood) pages will receive their first cocktail for only $1. Monday, December 5, 2011 from 6pm to 9pm. Rick Moonen’s rm seafood at Mandalay Bay. 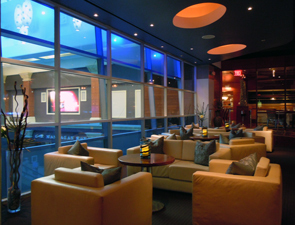 For reservations call (702) 632-9300. A leader in redefining the boutique hotel experience, OPUS Vancouver opens the doors to its third in a successful series of pop-up restaurants, Cento Notti. The latest venture combines pop art and Italian influenced comfort food designed to deliciously indulge all senses, keeping Cento Notti and OPUS Vancouver in step with hospitality innovators such as lauded pop-up restaurateurs Chef Ludo Lefebvre of LudoBites in Los Angeles and Chef John Fraser of What Happens When in NYC. The Italian inspired cuisine at Cento Notti, developed by Chef Paul Marshall, is paired perfectly with Botticelli-esque busts and gold and glitter accents that adorn the room and consists of regional and seasonal ingredients and pastas made fresh daily. House specialties include Italian classics with a twist, such as spaghetti Bolognese with shaved blue cheese, wild boar and Asiago meatballs with tomato fondue and Veal Tomhawk Milanese. All pasta is prepared fresh in-house daily from Chef Marshall and his creative team. “Cento Notti, our third installation in the OPUS Vancouver’s series of ‘pop up’ concept restaurants, is yet another exciting departure from the expected. We think that our clientele will love the new room - it takes on its own golden glow and is punctuated by the presence of mannequin torsos adorned with Italian fresco, ” John deC. Evans, President & CEO of OPUS Hotels. “We are very fortunate to have an opportunity to continuously create a new food program with each new pop-up concept starting with 100 Days to 100 Nights and now Cento Notti. We feel that we offer something fresh and unique to Yaletown,” says Co-Managing Partner, Rocksglass President & CEO Peter Girges. 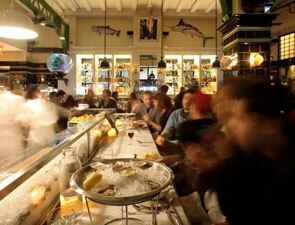 Cento Notti is open daily for breakfast, lunch and dinner. Hour of operation are: Monday to Thursday from 7:00am - 2:00am, Friday from 7:00am - 3:00am, Saturday from 8:00am - 3:00am, and Sunday from 8:00am - 12:00am. Reservations welcome. Phone (604) 642-0557. 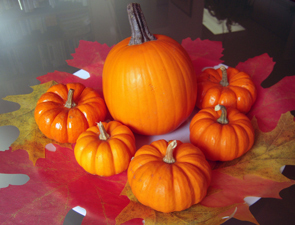 Wishing our loyal readers and their loved ones a Thanksgiving filled with good food, good friends, happiness and prosperity. Valentino Las Vegas is proud to announce an extraordinary night of white truffles and wine featuring the wines of Beni di Batasiolo and the cuisine of James Beard Award-winning Chef Luciano Pellegrini. This sublime tasting is the final evening of a three-night white truffle extravaganza hosted by renowned restaurateur Piero Selvaggio and Chef Pellegrini, with tastings taking place at Valentino Houston on Dec. 7 and Valentino Santa Monica on Dec.8. 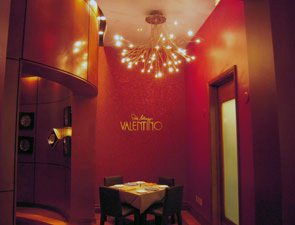 Valentino Las Vegas, located inside the Venetian Hotel-Resort-Casino, 3355 Las Vegas Blvd., Las Vegas, NV 89109. Friday, Dec. 9 at 7pm. As this is a limited seating engagement, reservations are required and can be made by calling (702) 414-3000. Dinner price is $275 per person inclusive of tax and gratuity. Please reference the White Truffle dinner when booking your reservation. David Burke at Bloomingdale’s is offering a traditional Thanksgiving takeout package with signature Burke twists. The package includes everything for a multi-course meal, including classic sides, cheesecake lollipops and 4 ciabatta loaves for sandwiches the next day. The only thing customers need to cook is the deboned, trestled turkey, which comes in a disposable sheet pan ready to roast. Full menu is below. 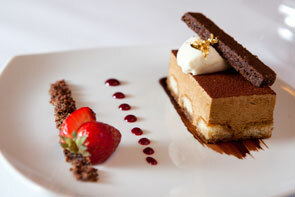 The package is $299 and serves six to eight guests. To order, please contact David Burke at Bloomingdale’s at 212.705.3800. Courtesy of the James Beard Foundation, a limited quantity of the out-of-print Jean Louis Palladin cookbook will be available for sale at MICHEL by Michel Richard, Tysons Corner in December. This magnificent 220 page cookbook, created in 1989, includes recipes that revolutionized the way chefs and food lovers viewed fine dining in America. The book was beautifully photographed by world-renowned photographer, Fred Maroon, whose work includes one of the most highly regarded photographic collections of Washington, DC. The book will be on sale at MICHEL for the month of December, priced at $50, with 100% of the proceeds going to the James Beard Foundation whose mission is to celebrate, nurture and preserve America’s diverse culinary heritage and future. Both Michel Richard and Jean Louis Palladin have been recipients of the James Beard Outstanding Chef Award, the most prestigious chef award in the U.S. The James Beard Foundation brings us these cookbooks in collaboration with our Jean Louis Palladin Tribute menu, December 6-10, 2011. Michel Richard honors this legendary chef, serving dishes at MICHEL by Michel Richard, Tysons Corner, which reflect the inspired culinary creativity that Jean-Louis brought to the table. MICHEL will serve a six-course Jean-Louis Palladin Tribute prix-fixe menu, offered in addition to the regular a la carte dinner menu. After the one week JLP Tribute Menu, JLP special menu items from the world renowned chef will be incorporated into the regular a la carte dinner menu throughout the month of December. The Jean-Louis Palladin Tribute menu, a $150 six-course prix-fixe, includes an amuse bouche of Quail Eggs with Smoked Salmon in Brioche; followed by Chestnut Soup; Terrine of Foie Gras with Black Truffle Tricolor Pasta, Prosciutto and Fresh Herb Tomato Sauce; Fricassee of Snail with Crispy Sweet Breads, Mirepoix, Chanterelle Mushroom and Shallot Sauce; Roasted Duck Breast with Date Puree and Date Sauce; and for the sinfully delicious dessert, Chocolate Pasta, with Mocha Sauce and White Chocolate Curls and Petits Fours. Jean-Louis’ famous Brioche with Anchovy Butter will be served with the meal. 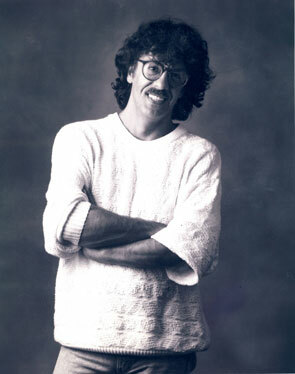 The Jean Louis Palladin Tribute menu will be available Tuesday, December 6 through Sunday, December 10, 2011, 5:30pm-10pm. JLP special menu items will be available throughout the month of December. A limited quantity of Jean Louis Palladin cookbooks will be on sale throughout December, while supplies last. Leftover Turkey? Here’s A Great Option! Using your favorite leftovers from your turkey day meal, there are many ways to create new dishes for your family to enjoy. Ricky Eisen, President and Owner of Between the Bread has crafted an original recipe for a Leftover Turkey Croque Monsieur Sandwich. Preheat the oven to 400 degrees F. Melt the butter over low heat in a small sauce panand add the flour all at once, stirring with a wooden spoon for 2 minutes. Slowly pour the hot milkinto the butter-flour mixture and cook, whisking constantly, until the sauce is thickened. Off the heat add the salt, pepper,1/2 cup grated yellow cheese. Lightly brush half the toasted breads with mustard, add a slice of turkey to each, and sprinkle with half the remaining cheese. Add a spoonful of stuffing & cranberry sauce to top and spread in layers keeping the top flat. Top with another piece of toasted bread. Slather the tops with the cheesesauce, sprinkle with the remaining cheese, and bake the sandwiches untillightly browned. Serve hot. The Venetian® and The Palazzo® invite guests and shoppers to join world-renowned Chef Mario Batali as he performs a live cooking demonstration on Black Friday. The complimentary event will take place on Friday, Nov. 25 from 1 to 3 p.m. by the outdoor gondolas of The Venetian. As part of The Venetian and The Palazzo’s first-ever Winter in Venice, guests will be able to watch Batali prepare his signature pizza in a wood-burning oven, as well as interact and ask questions during the demonstration. Batali, a gastronomic superstar known for his unique sense of style both in the kitchen and in his attire, is a critically acclaimed James Beard award winning chef, restaurateur, author, philanthropist and television personality. He is also the chef and owner of Otto Enoteca Pizzeria, B&B Ristorante, and Carnevino Italian Steakhouse, located at The Venetian and The Palazzo. For more information on Winter in Venice, please visit venetian.com/WinterInVenice. Stay up to date on all events and activities by following The Venetian and The Palazzo on Twitter at @venetianvegas and @palazzolasvegas, #WinterInVenice. 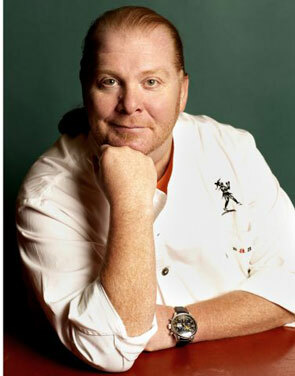 To learn more about Mario Batali, visit mariobatali.com or follow him on Twitter at @mariobatali. To learn more about the Mario Batali Foundation, visit mariobatalifoundation.org. Sharing a meal with family and friends is a holiday tradition that never goes out of style. 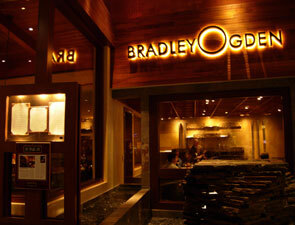 Las Vegas visitors and residents are lucky enough to enjoy Bradley Ogden’s cuisine at his CaesarsPalace restaurant, winner of the James Beard Award for Best New Restaurant in 2004. Now the two experiences can be combined as famed Chef Bradley Ogden helps bring the feeling home by sharing his secrets for making holiday celebrations as delicious and easy as possible in his new cookbook, HOLIDAY DINNERS WITH BRADLEY OGDEN: 150 Festive Recipes to Bring Family and Friends Together (Running Press; October 2011; Hardcover $30.00). On Monday, Nov. 21 starting at 5 p.m. guests at Bradley Ogden inside CaesarsPalace will have the chance to meet Ogden and have him signs copies of his new cookbook. 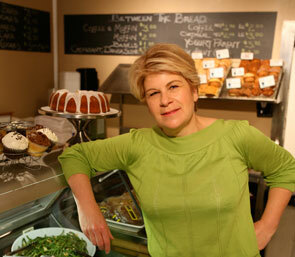 The event is open to the public and cookbooks will available for purchase at the restaurant. April Bloomfield & Ken Friedman have introduced San Francisco-based Sightglass Coffee at The Breslin Bar & Dining Room and The John Dory Oyster Bar. 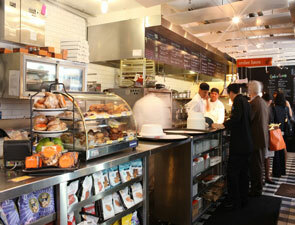 They are the first restaurants to serve the coffee in NYC. April & Ken were recently introduced to the coffee when they were in San Francisco and thought that why should they serve just one type of coffee when they could offer several, similar to a wine list. The Breslin and The JDOB are using Sightglass Coffee for espresso and French press, while their drip coffee is still Stumptown Guatemalan. Sightglass is an independent, sibling-owned brand. “Sightglass” is the name for the viewing window in their vintage roaster; it exposes the process of roasting inside of the drum. They emphasize the same transparency in their overall process, as the coffee is traceable from the growers to the servers. The Breslin and The JDOB will be using the “Owl’s Howl” blend for all espresso beverages and for the month of November, the “Blueboon Blend” for the French press (the French press offering will rotate).